You are currently browsing articles tagged tools. Get a Hoofjack for Less! If you’re thinking about buying a Hoofjack to make trimming your horse’s hoofs easier – now’s your chance to get in on a great deal if you’re in the North Alabama area! A hoof stand holds up a horse’s feet so you don’t have to! 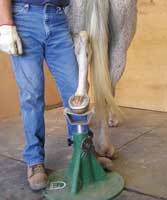 Using a hoof stand when trimming your horse’s feet can save you time, energy, and wear and tear on your arms, legs, and back. How do I use a hoof stand? Watch a video about hoof trimming using a Hoofjack hoof stand. 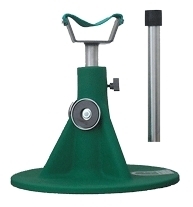 Download hoof stand how-to videos or request a free DVD by mail from Hoofjack. Trimming hooves is hard work and requires a fair amount of strength, so why not make it easier by treating yourself to a nice, sharp, high-quality rasp? 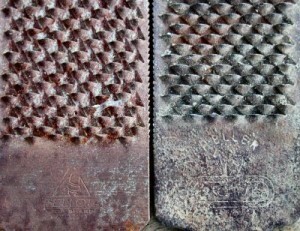 Lower quality rasps cost less, but aren’t very sharp even when new, and quickly get even duller with use. I’ve been using Heller Legend 14” hoof rasps for some time, but Bellota, Simonds, and Wood-Miller brands are also excellent quality at reasonable prices – ranging from the Simonds Black Master at around $25 each to the Wood-Miller at around $17. Bellota and Heller Legend rasps are in the middle of the pack, at around $20 each. The higher priced rasps in this group tend to stay sharp through more trims, so you get what you pay for.